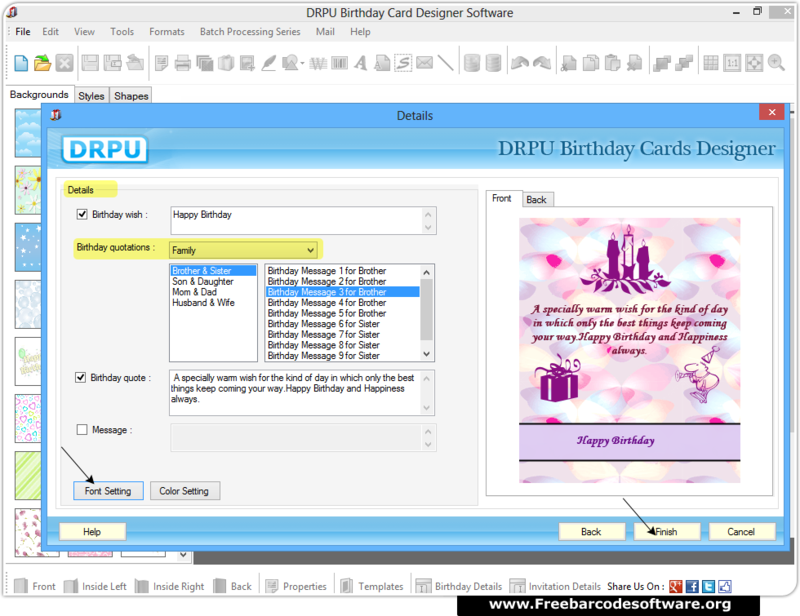 To design your birthday card using New Label Format, select an option to design birthday invitation card or birthday greeting card. 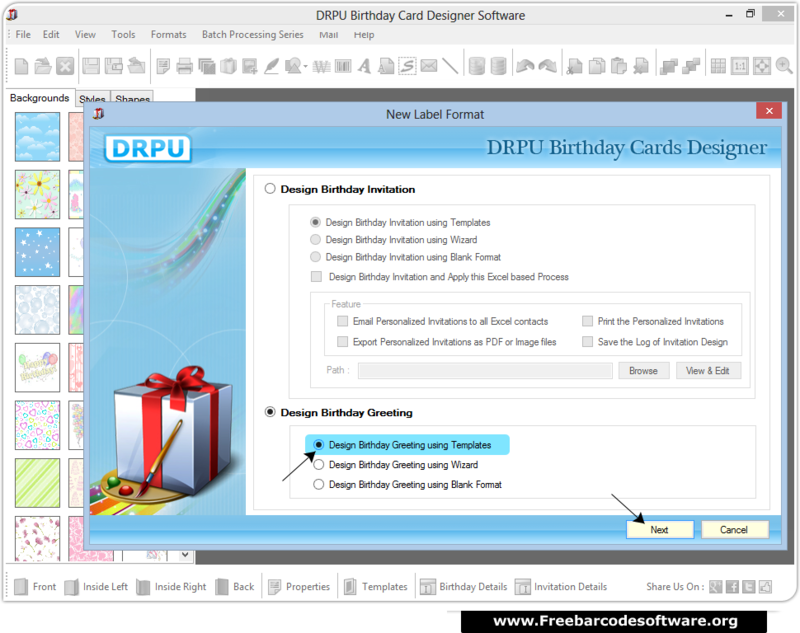 Then proceed by choosing one of the designing modes. 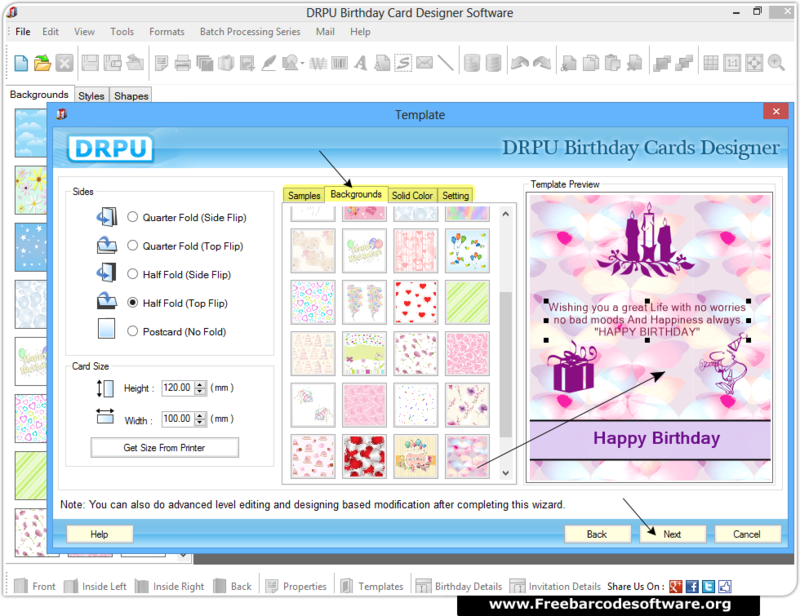 Specify the type of fold, card size and background sample. Now, click on Next button to proceed. 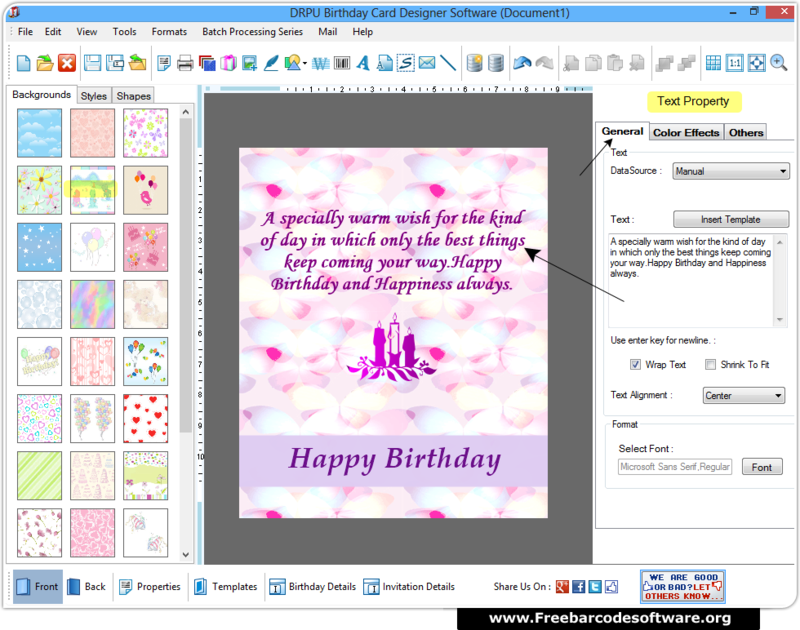 Add details on your card like Birthday wish, quotation etc. Set font of the text as per your choice. 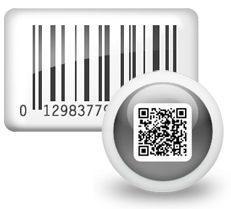 You can add text either manually or using Batch processing feature. 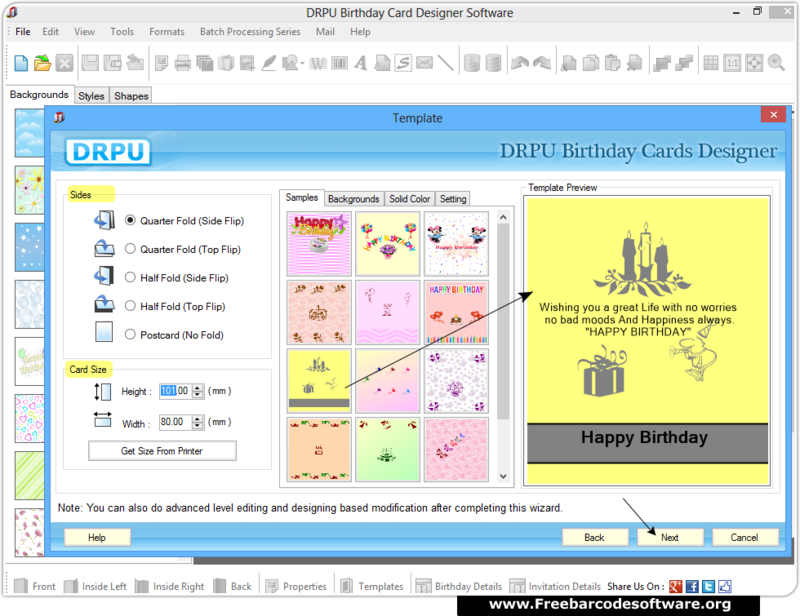 Edit your text property by double click on it.